Mergers and acquisitions are quite frequent in the world of iGaming because it’s a very competitive and fast paced industry. 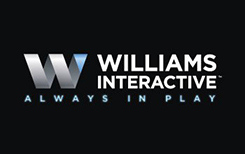 WMS Gaming, which was launched in 1991 and basically had roots dating back to 1943, introduced its subsidiary calling it Williams Interactive. The goal of Williams Interactive was to port WMS land based casino games to online platforms. Today the company doesn’t just offer its in-house casino content, but has its own platform which is used to distribute a solid collection of games popular around the globe. Reliable Williams Interactive casinos can be found anywhere and players usually get a variety of other developers on their websites. That’s simply because Williams Interactive specializes on slots and there aren’t hundreds of them to satisfy the demand of operators. Play4Fun Network powered by this supplier helps brick-and-mortar operators to keep existing and attract new players by providing social gaming software. It’s a platform to play for free and therefore is legal in jurisdictions prohibiting online gambling. Since Scientific Games owns several other casino content providers, Play4Fun platform gives access to a range of Williams Interactive, Bally and Barcrest games. The supplier’s headquarter is in the US, and there are more offices in this country, in the UK, India and Sweden. Williams interactive is an established and respected company with the goal of providing immersive gaming experience and no intention to do it illegally. It is regulated by UKGC and has to follow strict rules, including the rules of keeping their games safe and fair. When you play at best Williams Interactive casinos, you can just relax and enjoy spinning the reels. Despite being initially designed for land based gaming venues, games look great at reliable Williams Interactive casinos online. They are bright, entertaining and always have some interesting features. Many of their greatest slot machines offer unconventional gameplay you won’t find anywhere else. This is probably one of few iGaming content providers which give players a chance to meet world most famous artists. There are also a lot of licensed video slots which are based on iconic movies and popular board games. Overall, the company has released around 50 games. Elvis Presley fans will be happy to know that “The King” is featured in the slot machine Elvis: The King Lives. Its unique reel set allows wagering on 80 paylines. When you load this game, it might seem a bit complicated, but don’t worry, once you start spinning the reels it feels fun and exciting. There’ll be free spins, wilds, giant symbols and seven different ways to trigger a bonus round. But most of all, you’ll get to see and listen to the great music artist. Bruce Lee is another famous person to meet at best Williams Interactive casinos. First Bruce Lee slot the company released is much simpler than the second one called Bruce Lee Dragon’s Tale. The latter is equipped with three extra reel sets in addition to the main one. Interesting thing about this game is that depending on where a free spins combination lands, players get different multipliers along with 10 bonus spins. On the list of Williams Interactive casinos you’ll definitely find operators offering Monopoly, and there are several versions of this game: Super Monopoly Money, Epic Monopoly 2, Monopoly Once Around Deluxe. While two other versions have traditional reel sets, Epic Monopoly 2 is different and is similar to other great video slots by Williams Interactive like KISS, Zeus 1000, Spartacus, Lunaris and Giants Gold. There are two sets of reels – one is 5×4 and the other is 5×12 which results in the big number of win lines. The developer loves playing around with reels. Visit any website on the list of Williams Interactive casinos and you’ll understand that this supplier is a master of creating unique layouts. We’ve discussed two of their unconventional layouts, but that’s not all interesting options out there presented by this developer.